Your review was exelent, thanks!!!! I just picked up my Blue again after a couple of years idle, largely due to “tennis elbow” from 25 years in IT using a mouse. These puzzles are rough on the same muscles. However, I am bent on toughing it out to solve this and I had to comment that I read this review 15 minutes after ordering my second Revomaze, opting for a tougher one than the Green, given the cost. I was pleased to read that your favorite in the entire series is the Bronze… the one I just ordered. Can’t wait to get through the Blue and move on to the Bronze… if my arm can take the punishment, that is! I love the concept, construction and challenge these provide and only wish they’d stock them for longer than they do so I’d have a broader choice in the next one I buy. 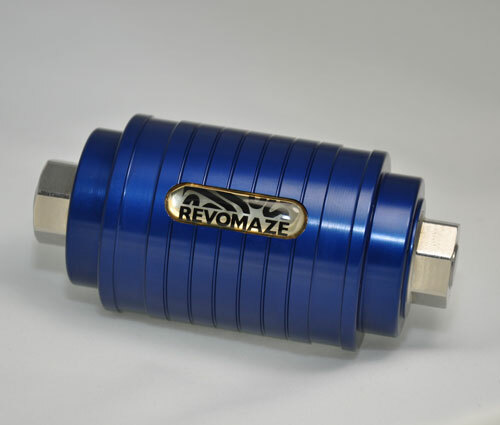 I just found Revomaze back in November 2015, I now have Aqua, solved in 3 hours, Blue, solved in 2 hours, and a Green in in the mail as I type this. Bronze and Indigo will soon follow. These are extremely addictive puzzles, and I cannot recommend them enough.